A viable prototype demonstrator has been delivered by the Efficient and Reliable Transportation of Consignments (ERTOC) project, a two-year research collaboration between Ricardo, GS1 UK, Unipart Logistics, IRIS Technology and Coventry University. 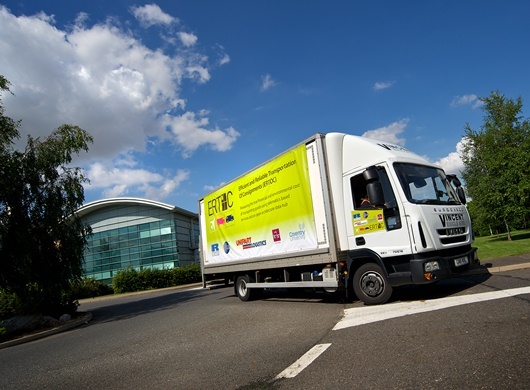 Part funded by the UK’s innovation agency, the Technology Strategy Board, the project’s aim has been to demonstrate technology capable of driving business improvement and sustainability throughout the supply chain from factory to point of sale. Existing logistics tracking systems are generally not integrated with other utilities and provide limited vehicle level information such as, for example, the fuel consumption attributable to any given journey or load. By creating an open architecture through which such route planning and consignment tracking systems can be integrated with vehicle level information – including real-time fuel consumption, location and loading – the ERTOC project partners have been able to develop a prototype system with the potential to optimize the cost and carbon dioxide emissions of shipments down to an individual consignment level. 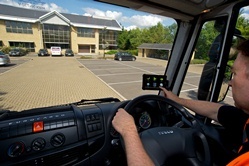 Ricardo’s role in the project has been to develop an on-board system consisting of an electronics module capable of interfacing with the fleet management system, or on-board diagnostics in smaller vehicles.This is integrated with a driver information system that runs on an Android tablet device located in the vehicle’s cab. 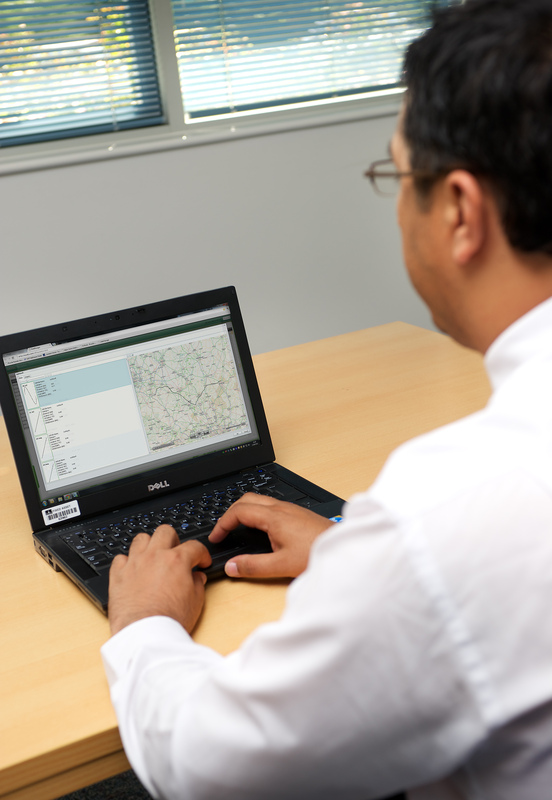 In addition to this on-board configuration, Ricardo also developed a web-based utility for use at a fleet level by a transport and logistics manager. These vehicle and office based utilities are linked via a central communications and data hub developed by project partner IRIS. The ERTOC system enables logistics companies to plan their load manifests and routes in order to minimize the cost and environmental impact of operations, while also reporting on the carbon (CO2e) or cost contribution attributable to each and every consignment. By such means, fleet managers, drivers and logistics customers can optimize operations through the use of intelligent route planning and load sharing for maximum financial return and environmental benefit. Using highly granular data for each leg of the journey of each and every consignment shipped, analysis can be carried out at any level, from hubs and depots down to individual vehicles, drivers and cargo types. 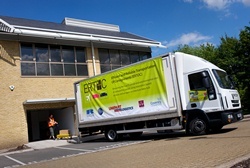 The system has been demonstrated in a 7.5 tonne truck application typical of the operations of project partner Unipart Logistics, but the open data architecture of the ERTOC system is extremely flexible and capable of application across many modes of transport, including road, rail, air and sea and without regard to international borders. “Ricardo isextremely pleased to have been able to participate in the ERTOC project,and proud of its role in the delivery of a successful prototype” said Rishi Odhavji, Ricardo project manager for ERTOC. “Logistics is an important element in the value chain for products of all types, and the ability to effectively manage operations through the integration of vehicle level data offers significant benefits in both financial and environmental terms.